Risugami's ModLoader for MineCraft is a mods manager that clears up problems and allows mods to be turned on and off easily. Almost all of the fun mods will not run without ModLoader installed. Mods alter different features for MineCraft. Some change recipes or allow the worlds to be created in a completely different way. Not all of these mods play nice with each other though. ModLoader for MineCraft lets all the mods coexist in perfect harmony so MineCraft can be played without glitches or interruptions. There are many mods out there for MineCraft that make the game much more fun. With mods, elemental arrows are possible. Saddles and doors can stack within your inventory like other items. The player’s items can even be saved upon death, making it a lot easier to continue playing. One mod in particular that requires ModLoader for MineCraft is Recipe Book. This mod allows you to create a book inside the game that, when used, brings up a list of all the item recipes in the game. Recipe Book does not run without ModLoader for MineCraft, and makes playing the game a lot easier. Biosphere is another mod that makes playing MineCraft even more interesting. The different areas are created within glass spheres with bridges connecting them. This mod makes the game more difficult in a fun and exciting way. Again, this is mod does not run without ModLoader. 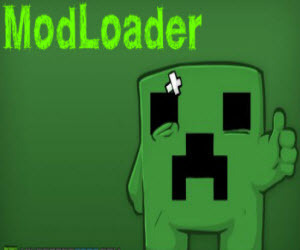 ModLoader for MineCraft is the perfect tool to make your MineCraft games even more fun. There are many different ways to mod MineCraft. ModeLoader will make sure the ones chosen will work perfectly.